Give a gift worthier than silmarils. 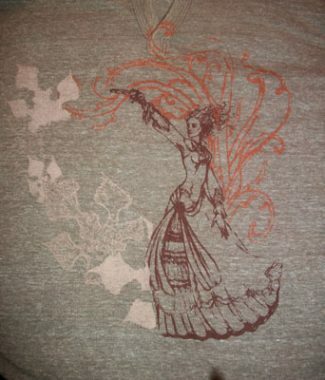 Share light and life with this golden keepsake. A golden tree rises from a lush landscape holding a pearl of remembrance and promise for the land across the waters. 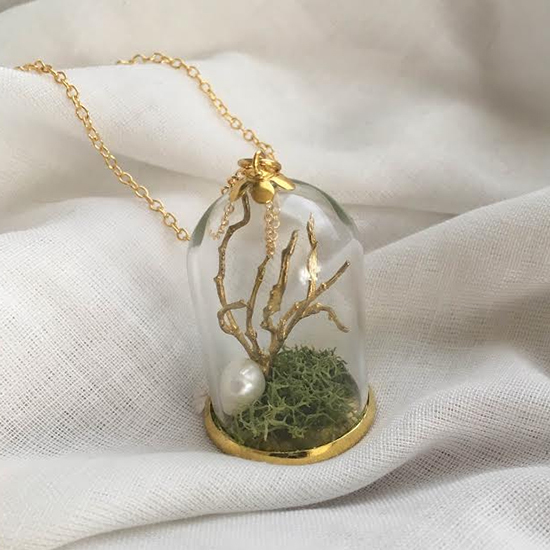 This necklace features a golden branch and a real freshwater pearl on a bed of preserved moss, sheltered by a glass dome. 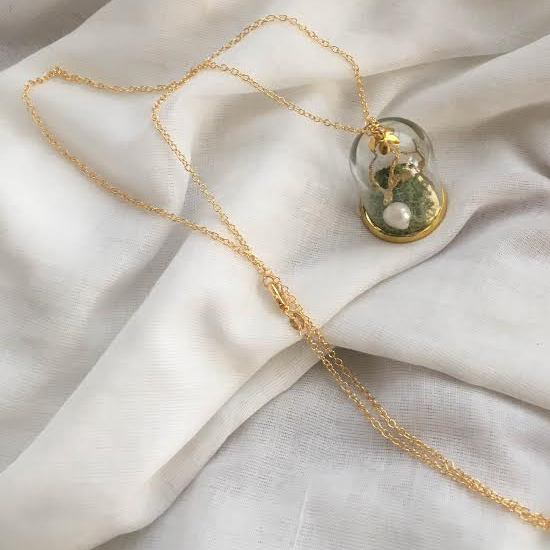 The dome hangs on a 28″ long gold chain.